This is the last call for the bonus offer on Carl Nicholson’s Cheltenham Selections. You will still be able to join after today but you won’t get the free bonus tips for tomorrow’s ITV races. Carl will be tipping a selection in every races at the Cheltenham Festival next week. 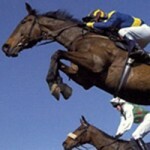 Sandown 4.10 Ardmayle – win bet – was well backed last time out and was only undone by some sticky jumping. If that has improved he should go close from this mark. Thurles 3.40 Macho Mover – win bet – Won two low-grade Flat handicaps last year for Mick Channon, showing a liking for good ground; hinted at better to come in a couple of maiden hurdle outings and was well fancied for his recent handicap debut at Clonmel; managed a fair fourth and should get a good pace to aim at today. Bet with Skybet and get your money back as a free bet if it loses. 1.30 Yorkhill – win bet – the stable have had no luck at all so far at this years festival , but this one is the class act of the race and hopefully he can oblige.